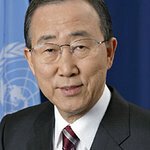 The Global Poverty Project, in proud partnership with Cotton On Foundation, announced that United Nations Secretary-General Ban Ki-moon will join world dignitaries to fight for an end to extreme poverty. Alice Albright, CEO of Global Partnership for Education; Seth Berkley, CEO of GAVI Alliance; U.S. Congressman Earl Blumenauer; U.S. Congressman Charlie Dent; Mark Dybul, Executive Director of the Global Fund to Fight AIDS, Tuberculosis and Malaria; U.S. Congresswoman Kay Granger; United Nations Secretary-General Ban Ki-moon; Csaba Korosi, Ambassador and Permanent Representative of Hungary to the United Nations; H.R.H. Crown Princess Mary of Denmark; Joseph Munyambanza, Education First Initiative; Dr. Fatoumata Nafo-Traore, Executive Director of the Roll Back Malaria Partnership; Dr. Maryan Qasim, Education, Health & Social Development Minister in Somalia; Najib Razak, Prime Minister of Malaysia; USAID Administrator Dr. Rajiv Shah; Michel Sidibe, Executive Director of UNAIDS; and President Ellen Johnson Sirleaf of Liberia will take the stage at this week’s 2013 Global Citizen Festival to voice their commitments in the movement to end extreme poverty. These world leaders will join a chorus of music legends and celebrities such as Katie Holmes and Gerard Butler, and 60,000 Global Citizens on September 28, 2013 on the Great Lawn of New York’s iconic Central Park. The free-ticketed concert, headlined by Stevie Wonder, Kings Of Leon, Alicia Keys and John Mayer, is part of the worldwide movement to end extreme poverty. The concert will celebrate the progress of anti-poverty efforts to date and call for accelerated progress around education, women’s equality, global health and global partnerships. 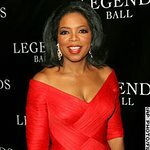 As part of the event, U2 lead singer and activist Bono will appear to present President Sirleaf with a Global Citizen Movement Award in recognition of her work on the issue of women and girls’ equality. Timed to coincide with the United Nations General Assembly, the Global Citizen Festival aims to focus the attention of world leaders toward the goal of ending extreme poverty by 2030. The 2013 Global Citizen Festival, in proud partnership with Cotton On Foundation, is produced by DPS in partnership with AEG/Goldenvoice, and is generously supported by global technology partner HP, as well as Kidnected World, The Pratt Foundation, FedEx, Coca-Cola, Citibank, The Color Run, and The Riot House. The Festival is only possible because of critical funding from the Sumner M. Redstone Foundation. Media partners include Clear Channel Media and Entertainment, Forbes, ReverbNation and others. More information about the Festival can be found here www.globalfestival.com.